I think we may have committed a journalistic sin in this issue of the Bulletin—we probably “buried the lead (pronounced lede).” It’s a rule that I used to emphasize with my high school journalism students in the 1980s—don’t hide the most important fact or engaging element of the story (or in our case, this issue). State it clearly, and put it up front. You’ll have to judge whether or not we are guilty. Our cover story explores important ideas about gender and how we now study it at Swarthmore; we describe a higher-education project in Ghana that holds a key to development and progress in Africa; we introduce you to a prescient Swarthmore economist who foresaw the financial collapse and to a marketing wizard who helped build the most popular medical information site on the Web; and then there’s the jazz—we wanted you to know how much we’re reveling in great cross-cultural jazz at the College this year. 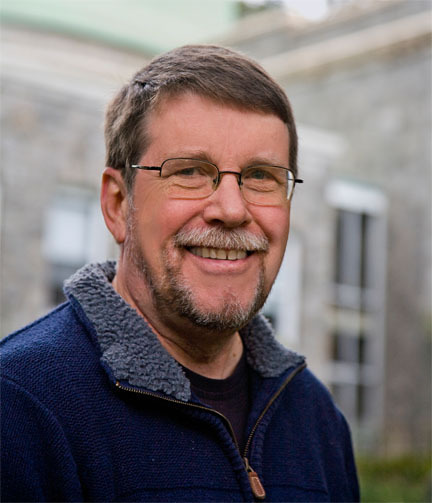 Simple living sounds right for Swarthmore—if not for all of us in our daily lives. It cannot hurt to re-examine our institutional and personal values in this new light. 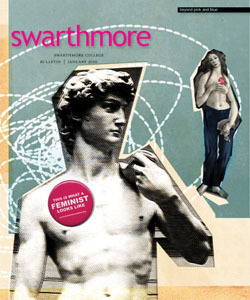 Swarthmore provided a model for academic leadership in American higher education for much of the 20th century. Continued leadership may come in the form of helping to redefine the essential elements of liberal arts education, recommitting to a caring and cohesive college community, and continuing to ensure access for the best students in the world without regard to their socioeconomic status. These are the same ideals that Patrick Awuah took from Swarthmore back to his native Ghana. He will tell you that his intellectual and social wellspring is here along the Crum, with 19th-century Quaker roots and a 20th-century legacy of intellectual rigor and engagement with society. Swarthmore is Awuah’s model for Ashesi University, but he’s been willing to adapt that model to conditions in his country and his time—as we must now adapt it to ours. The budget adjustments that the College will implement in the next two years will be difficult, but they won’t compromise the essential Swarthmore. Its core commitments will remain. So in fact, the Bulletin’s—and the College’s—“lead story” continues to be reflected in this issue’s features: vital ideas, social progress, rigorous analysis, information innovation—and jazz. Please, more jazz! I want to comment on your outstanding article about Sara Posey and CUSA, For my taste, last October's article "It's Getting Better all the time" ranks up there with the best articles I've ever seen in the Bulletin, and that covers a lot of decades! In my so-called retirement years I am adjuncting an Intro Psych section at Point Park University here in Pittsburgh (where I have three grandchildren). Point Park stands out for its COPA (College of Performing Arts which includes a strong dance program), so you can imagine that some of my colleagues also find this article to be of interest. Congratulations on a great job and a fascinating article.